A brand worth believing in. To build a worldwide community of successful unisex waxing franchises that deliver an enjoyable, relaxing and fast customer experience, one prosperous unit at a time. Today we provide our franchises with a proven system solely focused on a unique service that exceeds both our customers’ and franchisees’ expectations. Noemi Grupenmager transformed her passion for stellar customer service into a business built on volume. Uni K Wax is expanding rapidly. Turn your passion into a unique business opportunity. What kind of candidate does Uni K Wax seek out? We’re actively seeking highly qualified individuals to become franchisees. Prior business experience, coupled with personal financial qualifications, individual motivation, a track record of success and an authentic appreciation for our unique business model are important factors in our qualification process. In addition, we’re looking for candidates who understand the service industry and are dedicated to building and nurturing great employee–customer relationships. Sounds great. What should I do next? Click here to contact us, and our Franchise Sales Department will follow up with you. Do I need a background in waxing? No, not at all. All new franchisees participate in an interactive training program. This consists of training at Uni K University Training Center located in Aventura, FL, as well as at your franchised location prior to and in conjunction with opening your new location. Franchisees receive regular follow-up updates to their training, including on-site reviews. Can you suggest lending options? Yes, we can direct potential franchisees to sources that have provided financing options to other franchisees in the areas of equipment leasing, construction and SBA loans. Get a quote today. Can I own more than one? We don’t see why not…about 50% of our franchisees currently own more than one! Just be aware that each Studio is different and cost is dependent on a variety of factors, including site selection and build-out requirements. The waxing revolution that changed the face (and body) of an industry. Our story began when founder Noemi Grupenmager set out to transform the personal grooming category from a back-of-salon afterthought into a superlative, single-minded service delivered by professionals in a hygienically pristine and completely approachable environment. In 1993, she opened the first-of-its-kind unisex waxing studio in South Beach and within six months the salon was servicing 200 customers a day. Continually looking to improve her business, Noemi created an all-natural, elastic wax to replace the industry’s standard process of using painful honey wax and paper strips. To accompany this skin-friendly wax, she designed a precise technique of application and removal to optimize comfort and reduce service time. 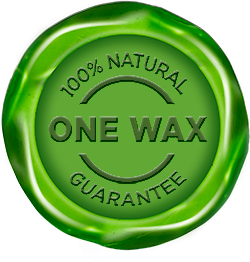 And to further enhance the hygienic standards synonymous with our brand, she integrated an on-site wax lab where certified lab technicians prepare individualized wax warmers for each customer’s service. The success of her proprietary wax, coupled with a carefully developed franchise business model and a loyal customer base, has given us the opportunity to grow to multiple waxing Studios along the East Coast, with more locations on the way. Head-to-toe support every step of the way. Choosing to own your own business can feel overwhelming. That’s why at UKW Franchising, we’ve developed an integrated wheel of support that helps you run and grow your business. Our dedicated team guides you every step of the way, from the moment you join the UKW community straight through to your grand opening and beyond. See below for all the ways we can assist your business. The waxing industry is a fertile business opportunity on the rise. And at Uni K Wax, when you succeed, we succeed. Our goal is to continue to grow and expand our foothold within this specialty market we not only contributed to, but created from the ground up. The total initial investment per franchise can range from $181,250 to $450,200 depending on the location of the Studio. (For a more detailed breakdown, please see our Franchise Disclosure Document.) UKW Franchising Company, LLC charges a uniform Initial Franchise Fee of $40,000 for your first Studio. If you decide to open a second Studio, this fee is reduced to $20,000 and then to $15,000 for every additional Studio thereafter. National Area Representative and International Master Franchisee opportunities are also available for those interested in a multi-unit development with territory exclusivity. Let our franchise department assist with all your questions regarding franchise opportunities. Finance and lending options are also available. Speak with a franchise development representative at (800) 712-8892 or message us. Uni K Wax partners with leading finance companies to provide you with competitive rates for loans and equipment leasing options. Get an instant equipment lease quote, compare monthly payment plans, and apply for an equipment lease or loan in less than 2 minutes. During this first call, we will discuss the Uni K Wax Studio Franchise opportunity and cover a few key topics including your motivations, business background and territory of interest. We will send you a Confidential Request for Information Form for you to fill out and send back to us. We will send you our Franchise Disclosure Document and other materials describing the Uni K Wax Studio Opportunity. Please take some time to review and decide if this is the right new business opportunity for you. Attend Discovery Day in Aventura, or complete a local market tour. Hurray! You’ve made it! We award the franchise and execute the franchise agreement. You will receive a UKW Franchising Welcome Kit, attend Orientation and begin Real Estate Acquisition. One wax pour. One wax warmer. Individually prepared for EACH VISIT. This franchise offering is not being offered by us or by anyone acting on our behalf or with our knowledge to residents of (nor is it otherwise specifically directed to any person in, nor will any franchise or business opportunity be located and/or sold in) California, Connecticut, Hawaii, Illinois, Indiana, Maryland, Michigan, Minnesota, New York, North Dakota, Rhode Island, South Dakota, Virginia, Washington or Wisconsin, until the offering has been registered and declared effective and an approved disclosure document has been properly delivered to the prospective franchisees.